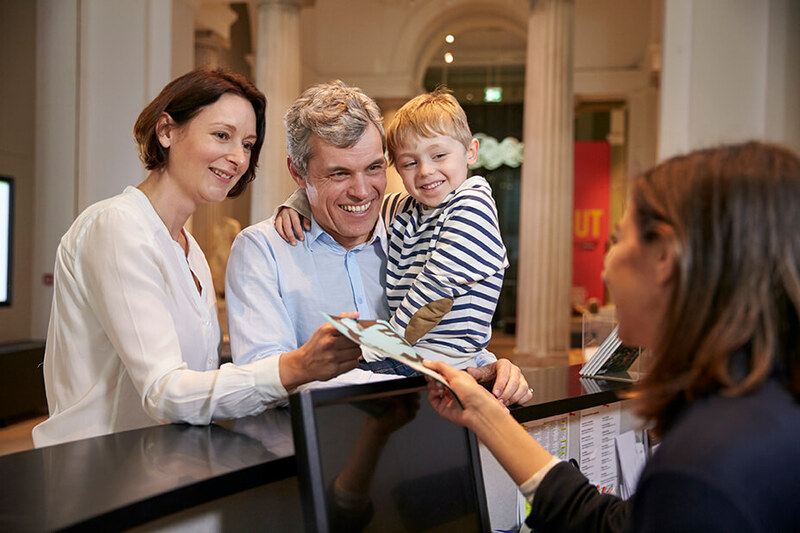 As a Museum Gift Store Director, Manager or Buyer, you’re always looking for new ways to drive revenue. After all, your revenue helps the museum continue to thrive and grow. When Museum Gifts Shop Director at the Houston Museum of Natural Science Becky Clark was reviewing her top skus, she noticed that the #1 best seller was a children’s book about dinosaurs. It did not have a hard cover and only sold for $4.99—but it consistently flew off the shelves. (No surprise given that most children six and under have an unparalleled fascination with all things dinosaur). She and HMNS Museum Creative Director Kim Bloedorn were discussing this one day and they mused about the possibility of the museum having its own book about dinosaurs: one that would feature specific exhibits and artifacts. They also thought that David Temple, the Assistant Curator of Paleontology at HMNS, would make a PERFECT character in the book. Well loved by the local media and a rock star to children in the Houston area schools he visited, David has a personality as big as, well, Texas. That lunchtime conversation resulted in a phone call to me, an advertising copywriter who has freelanced for the museum for 20 years and an author of seven best-selling children’s books. Over several weeks, Becky, Kim and I discussed the possibility of creating a children’s book unique to HMNS. Before I knew it, I was on a plane to Houston to spend two days at the museum, meeting with David, Becky, Kim, museum ambassadors, volunteers and gift store buyers. I got to explore the exhibits of the Morian Hall of Paleontology. Then I flew back to Colorado and started crafting first an outline, and then a manuscript. The book is currently being illustrated by the uber-talented Brian White and should be released later this year. And when it does? HMNS won’t have to share any of the profits with a publisher or provide royalties. The team is already developing plush toys to accompany the book release. And we’ve already talked (fingers crossed) about creating additional books about other permanent exhibits at HMNS. So, what are a few other reasons (besides revenue) that makes this a super smart idea? The book will provide more of a direct connection between the museum guest and the museum itself. Specific museum exhibits become “Stars” that guest will want to visit again. The fact that museum guests will be able to actually “meet” one of the characters (David Temple aka Dino Dave) brings the book even more to life. Curious about other benefits to creating a children’s book specific to your museum? Let’s have a conversation. It could result in a boost to your gift shop revenue and a deeper connection with your visitors.